With the recent closing of Emptees I figured I’d spotlight what Emptees creators, Indie Labs will be focusing all of their newly found time even more intensely on. Those projects are of course Big Cartel and Pulley. While Big Cartel needs no introduction as it’s extremely well known, I’d figure I still put together a list of some of my favorite Big Cartel store layouts. Enjoy! If you dig this article please take a second to tweet and Facebook like it (see above), it is GREATLY appreciated! Also each store name links directly to that companies Big Cartel store if you want to check out any store further! Love the incorporation of the slideshow images above the products as well as how the products have been photographed and displayed on the site. Also loving the icons for each category at the top, a very nice touch. Well thought out and executed from top to bottom. Big fan of the clean design, slider image at the top and overall presentation of the products. Easy to navigate with a beautiful clean look. Winner in my book. 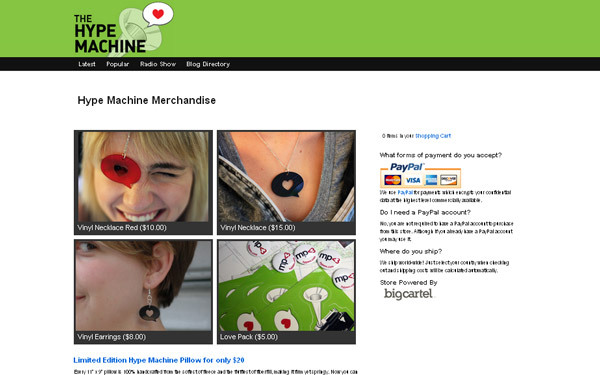 This is a great example of how far you can push the customization of a Big Cartel page. Love the header on this store. I also think they have done a fantastic job organizing a ton of different products and information into a well placed and accessible layout. Also love how the social icons are predominately displayed, NEVER bury your social icons! Make it easy on people to follow and friend you. 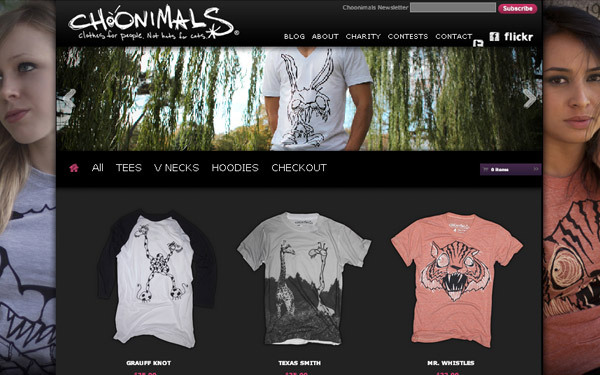 Very clean design that draws the focus onto Jon’s products. Shows that you don’t always need a flashy or colorful design when your products are interesting enough on their own. I also dig how they have four larger “featured” products on top followed by smaller images below. Great way to pull focus onto what you want featured. Solid design from top to bottom. 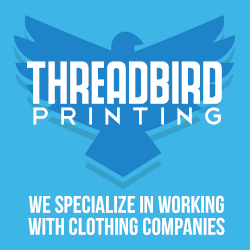 Very easy to navigate, images are clearly and uniformly displayed, everything that you should look for in a nice storefront. 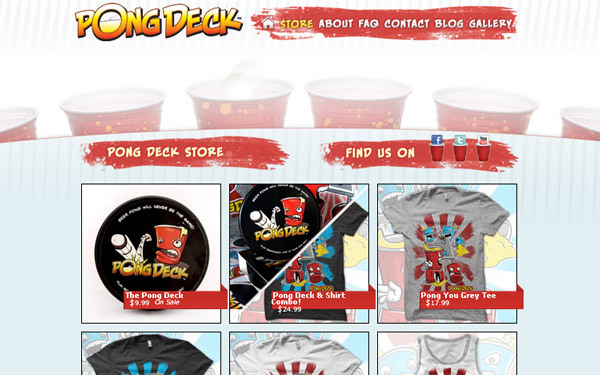 Full disclosure, this is a cart designed for my company Pong Deck, so I am a bit biased. I do think Blue Tide did a very good job of matching the image of the company with the site feel. 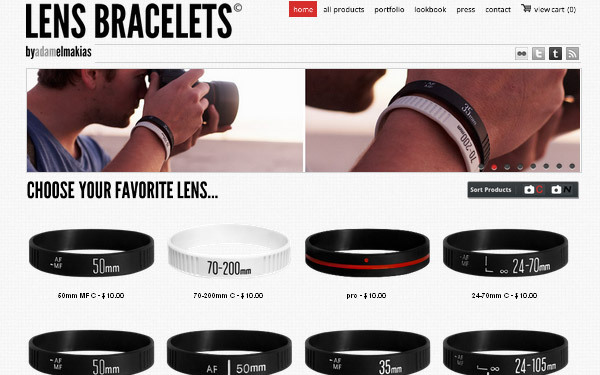 Also some very cool jquery effects when you hover over product images and social icons. It’s the little stuff that makes sites more fun and feel more polished. I absolutely love this site. Great header, extremely minimalistic approach to the overall cart and awesome product shots all results in a win in my book. Loving how all the product photos are shot on a white background that makes it to appear that they are just floating in space. This is a perfect example on how a nice looking header and great background image can turn a fairly standard Big Cartel site into a great looking Big Cartel site. 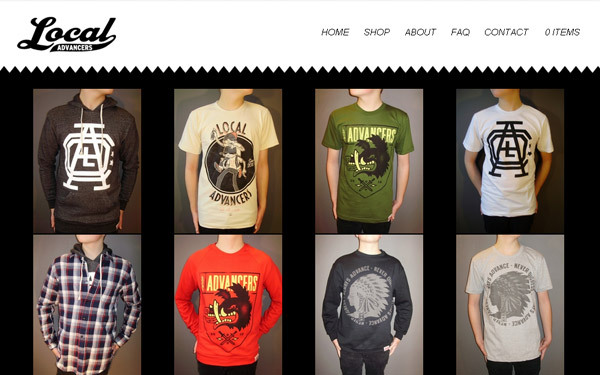 Another example how a great logo/header and background can dress up a pretty standard Big Cartel layout. Great site showing that even if you dont have a ton of products you can still display them with personality. Beautiful feel to this site. 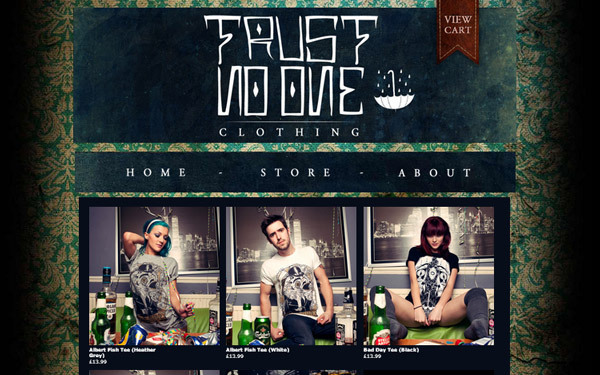 Great looking header, background and product shots. I have always been a big fan of large product images, and the three images across I think works extremely well on this layout. Also huge fan of the “view cart” ribbon hanging from the top of the page. Well done. Great example of matching the mood of a company to exactly what their store should feel like. 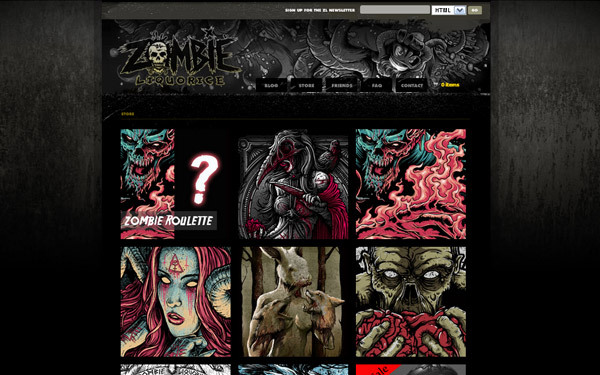 Love the illustrated header that matches the intense illustrated look of the entire ZL line. Also love how they opted for showing off close ups of the illustration instead of actual photos. With a line that is so intensely tied to illustration it just makes sense to show it off on the home page. Also great secondary pages, with multiple view of each product. 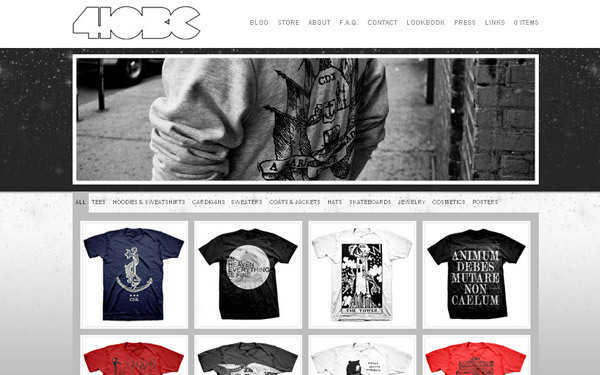 Great example of incorporating a blog, and really entire website seamlessly with a Big Cartel store. 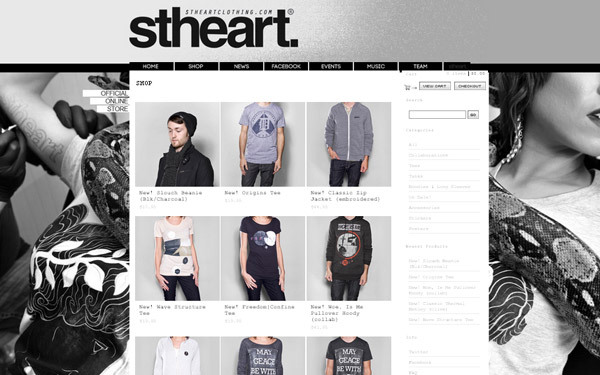 Beautiful looking site from the color scheme down to the heart shaped price boxes. Very well thought and executed. I also love the decision to take their product shots against the wood floor as it provides a great example of using your photography to play into your Big Cartel layout. 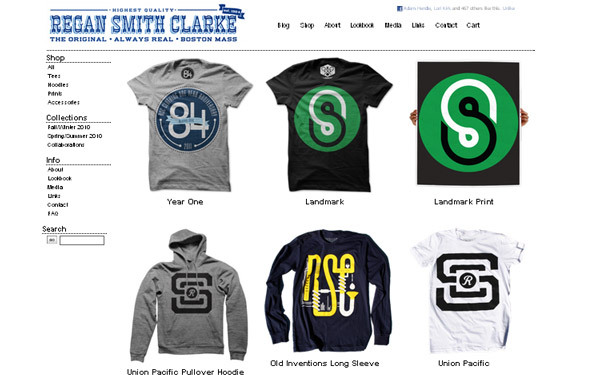 Nothing to flashy or outlandish about the Regan Smith Clarke Big Cartel. That being said I the overall site is very well laid out, easy to navigate and seamlessly integrates with their entire site. Love the image background as well as the featured slider and consistency the way the products are laid out. Everything is very uniform, solid and appealing. Honestly I can’t pin point exactly why I love this layout so much. Maybe its the cool looking saw blade border on the top? Either way I think it’s a nice example of simple and effective. 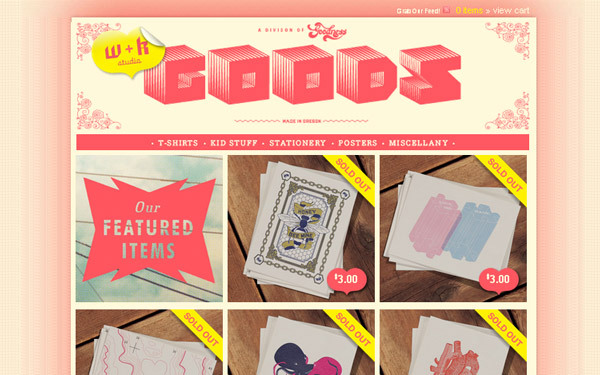 Once again, a very clean layout for a brand that has a good amount of products to show off and sell. 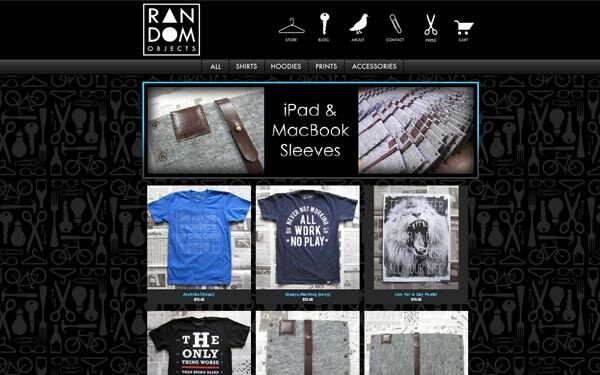 While there in nothing to flashy the overall design is very functional and adds to an easy shopping experience. 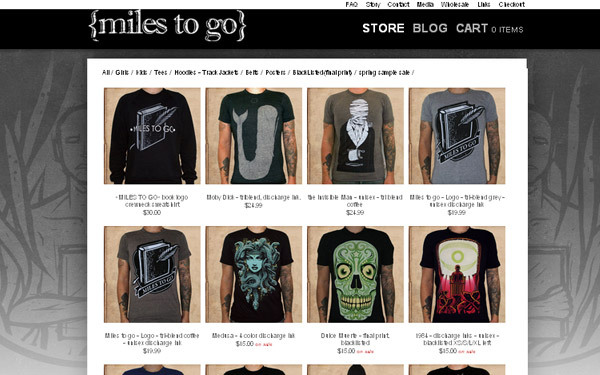 Which amazing Big Cartel sites did I miss? Leave your comments below! Nice overview Adam, wish my Big Cartel was as customised as these! Definitely going to need to do a Storenvy list as well! glad you liked the post! Angry Spade is right, Pong Deck is a much bigger operation than HYAs store, although it is gradually taking over most of the space in my room and office! The Random Objects one does look good! Digging the variety. Nice Adam! this one of course ! just took a look at your site and it’s lovely! great work. do you know if these sites were made entirely through Big Cartel (using HTML/CSS) or if they are stand-alone sites with a Big Cartel Store integrated? Dope, they’re are some pretty cool stores here.